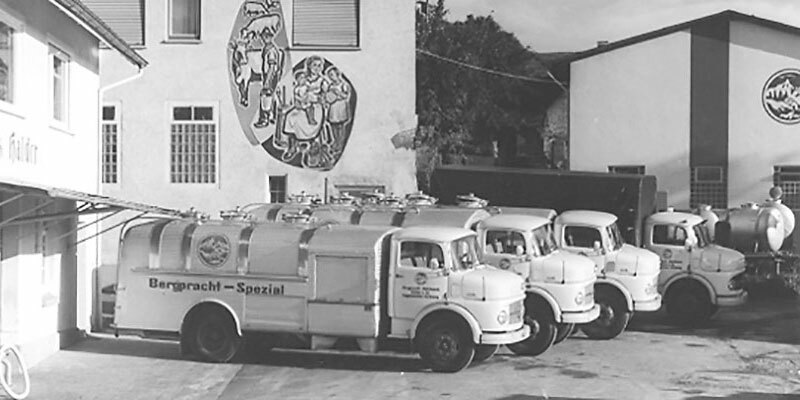 The history of the Bergpracht Milchwerk company began in the 1930’s when Remigius Halder, whose ancestors were also cheesemakers, leased the cheese factory in Siggenweiler. When the cooperative cheese factory was unable to raise the capital it needed to renovate the old Siggenweiler cheese factory in 1937 due to a lack of growth in membership, Remigius Halder offered to buy the entire operation. 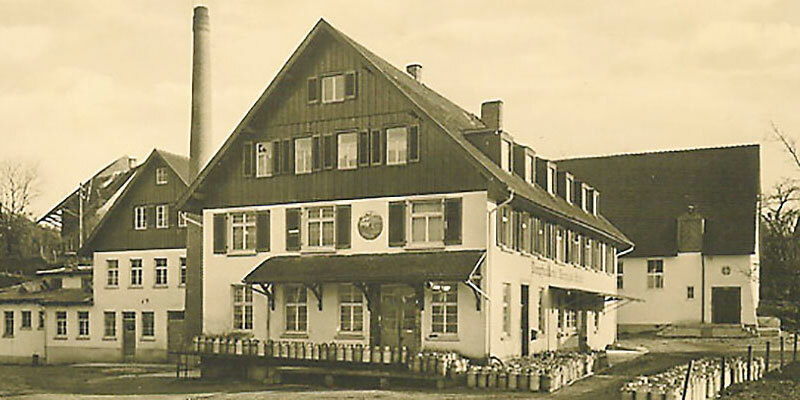 After successfully completing renovation, the “Dampfmolkerei Halder” (Halder Steam-powered Creamery) was opened in 1939 in Siggenweiler. In spite of World War II, it was possible to continue operations, and it was possible in 1949 to convert the private company to a limited company. By continuously acquiring milk producers nearby and from the surrounding areas, it was possible to increase production step by step. As a result, the production and aging rooms were expanded in various stages. In 2011, the company set up its own refrigerated warehouse. The company is headed today by Karl-Georg Geßler, the grandson of the company founder Remigius Halder.